People love a good villain. They have to be charismatic and brutal like Hannibal Lecter or Hans Landa. It’s the reason why Loki stole the show in the Avengers and Thor films. There are those characters that are so unlike us in our real lives, that we live vicariously through their terrible ways. They’re their most enjoyable to watch when they’re at their absolute worst. By now, if you’re a reader of the iZOMBIE comic you know there aren’t too many similarities between the books and the show. Ancient mummy John Amon of iZOMBIE has been changed to Blaine DeBeers, the drug dealer and zombie. Both play a similar roles in the story – a place in between. A character who may be helpful, but is more likely to be totally evil. But as the season is progressing, it looks like Blaine probably isn’t helpful type. But if viewers were at all wondering if Blaine could be good somewhere inside his semi-zombie body – all thoughts were dashed after Tuesday night’s episode, “Live and Let Clive”. It turns out he has been purposefully turning people into zombies to do his dirty work for him. There are in fact a whole load of clients that his minions are selling brains to. You do have to admit, he certainly has great entrepreneurial spirit. His business includes making brains taste good and turning his victims into his new clients by selling them brains. He claims to be obtaining brains by digging graves, but instead he is prowling the streets killing former partners and picking off poor innocent victims. All of these horrendous crimes are done with effortless charm and banter by actor David Anders. It is almost difficult to blame him for what he is doing. After all, it is Liv herself who decides not to help him out anymore by giving him brains from the morgue. There’s still plenty of his story to be told, and yet he is already a favourite. Why? 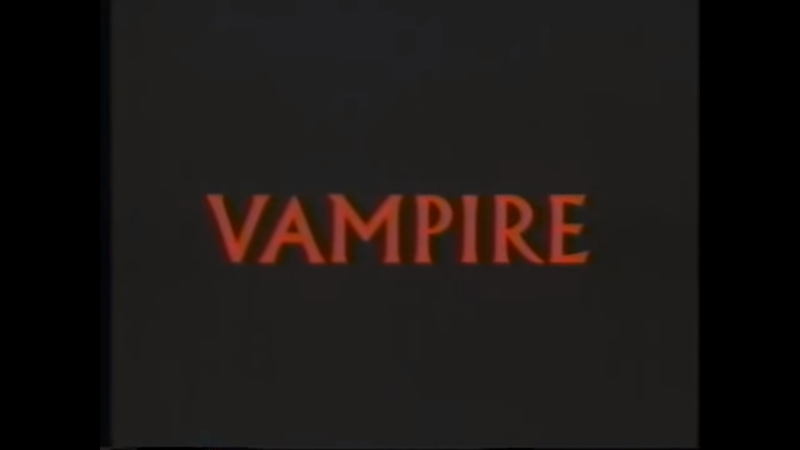 Just look at the same reasons people were obsessed with a certain vampire named Spike (James Marsters). They are so easy to love. And hate. A lot. Both are so charming, charismatic and wonderfully evil (pre-soul Spike especially). Besides sharing a semi-dead state they even look a bit similar. According to an interview in Entertainment Weekly, Anders got in touch with Marsters to get tips on peroxiding hair. May the torch of Billy Idol looks be carried on. Each clearly has a way of manipulating women. After Spike was left by Dru for a Fungus Demon, he latched on to the petty Harmony. Even though his thoughts were elsewhere, he dragged the poor girl around. Blaine works in a similar way. If a zombie is ever intimate it would mean turning the partner as well. He knowingly turns the unsuspecting Jackie after a one-night-stand, turning her into one of his highest paying clients. What ultimately makes these characters so good is that they refuse to be one dimensional baddies. 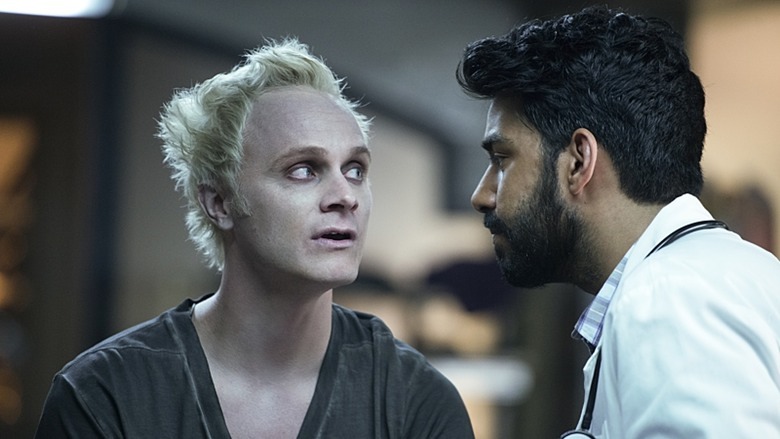 It’s difficult to judge Blaine too much by just the first few episodes, but if iZombie continues to go down a similar Buffy-path then fingers crossed that things get as complicated for him as they did for poor Spike. You want them to suffer, but deep down we’re still rooting for them.